You've probably asked Google Now, Siri, or Cortana to tell you a joke or to direct you to a destination, but this video takes the idea of conferring with voice assistants to another level - not necessarily a higher level, mind you, but at the very least, a funnier one. 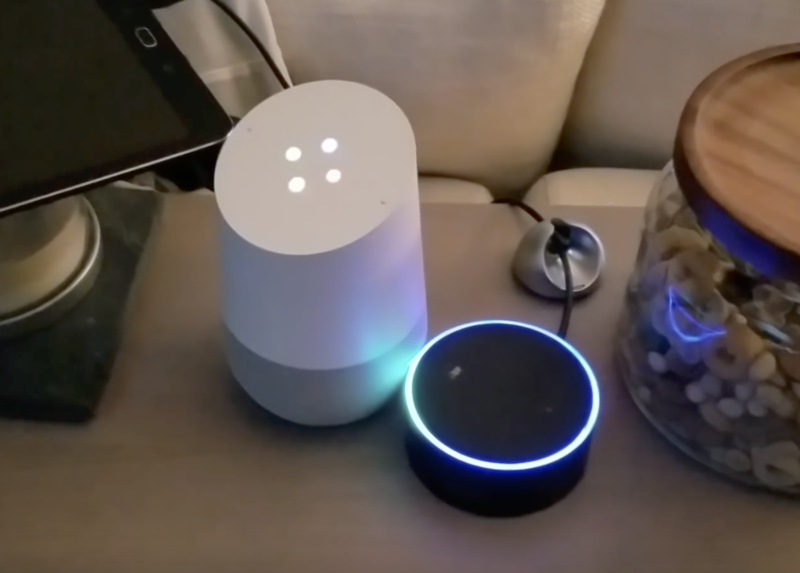 In this silly video by Amazon Echo Dot and Google Home owner Adam Jakowenko, the two voice-activated speakers continuously respond to each other by including the other's activation phrase ("Hey, Google" and "Alexa") in a pre-set calendar event. Since the events on both devices are set for 6:00PM, Alexa and Google Assistant would likely be thrown off after 6:00PM has come and gone, but a workaround shouldn't be difficult to figure out at all. The robots are coming for us. Prepare yourselves!